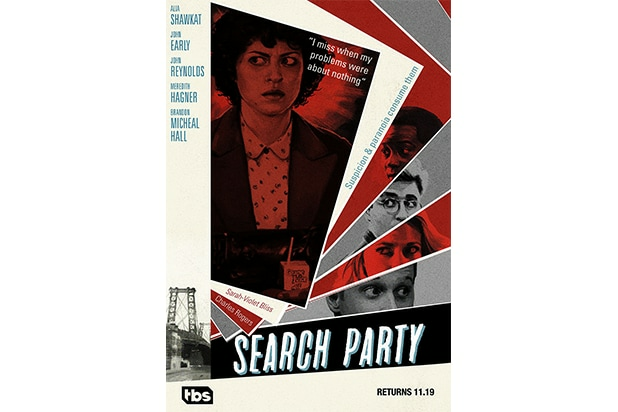 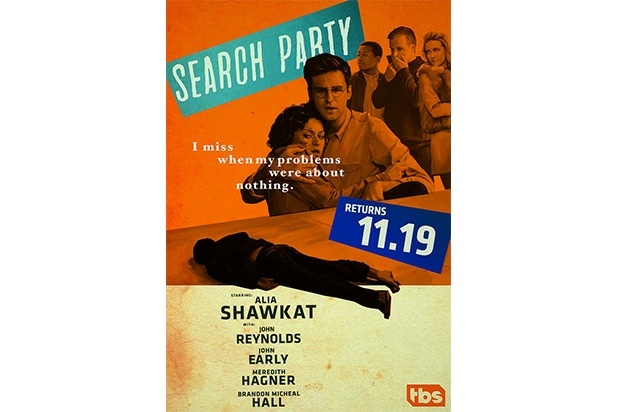 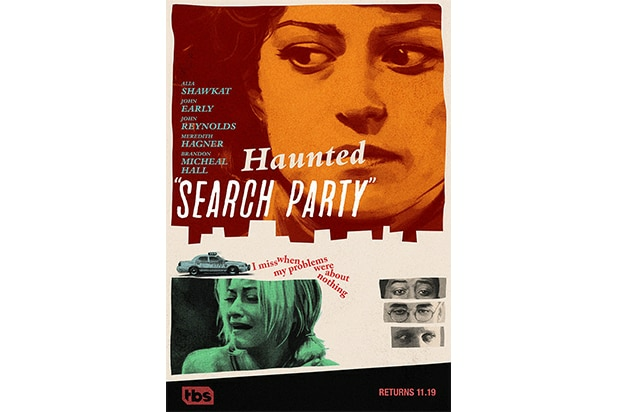 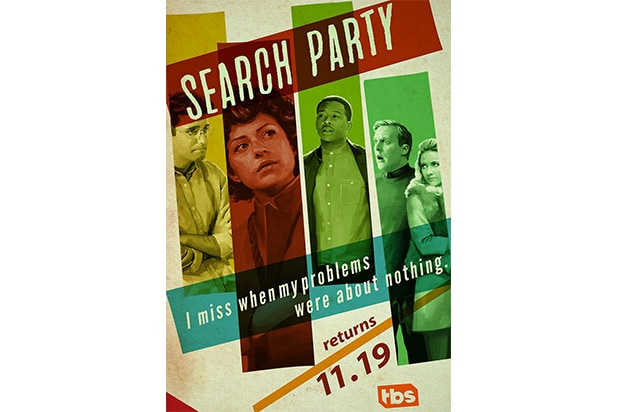 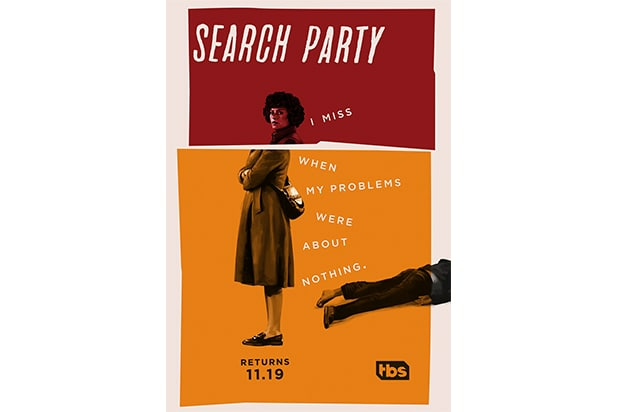 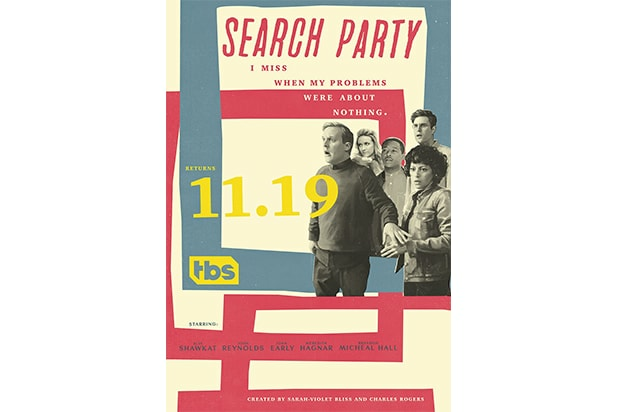 For anyone who loves a good murder mystery, the first season of TBS’ Brooklyn-set hipster series “Search Party” filled a certain Nancy Drew-shaped void last year. 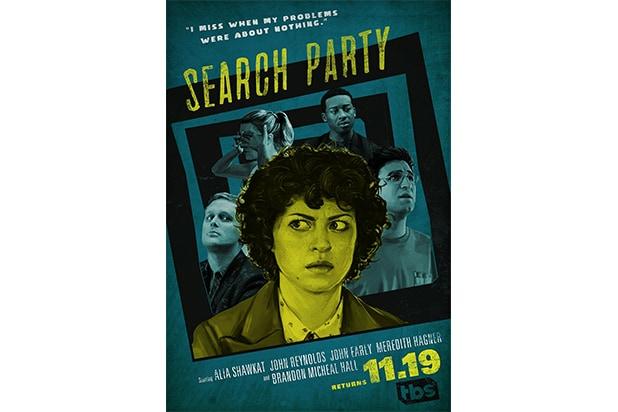 In Season 1, Dory (Alia Shawkat) and her gang — played by John Early, Brandon Michael Hall and Meredith Hagner and John Reynolds — end up (spoiler!) 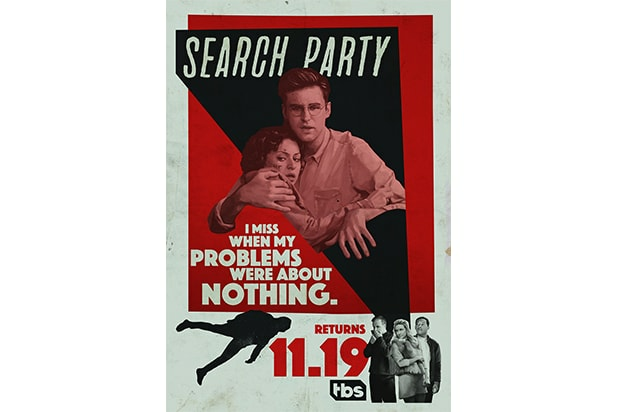 killing someone, so the follow-up is sure to be a lot darker than the Nancy Drew-inspired whodunnit feel of the first season. 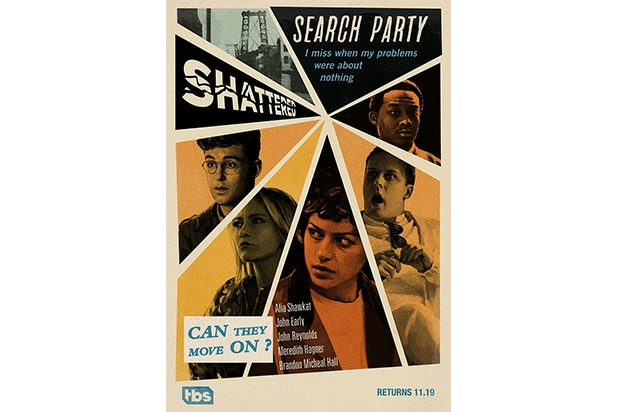 In a season that Shawkat called “Hitchcock paranoia,” the posters reference classic thrillers like “Vertigo” (1958), “The Man Who Knew Too Much” (1956), “Strangers on aTrain” (1951), “The Birds” (1963), “Psycho” (1960), “North By Northwest” (1959), and “Charade” (1963) among others. 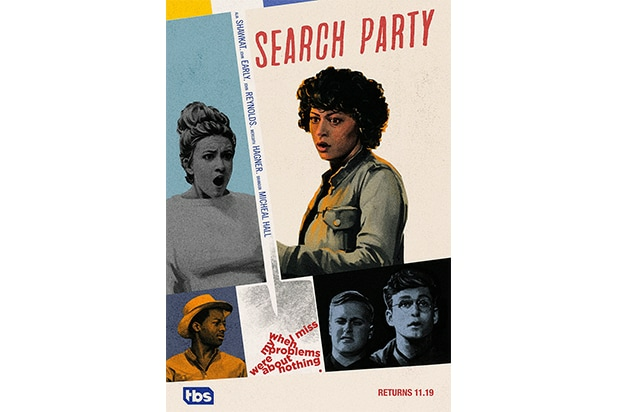 See the posters below, which were exclusively released on Refinery29.